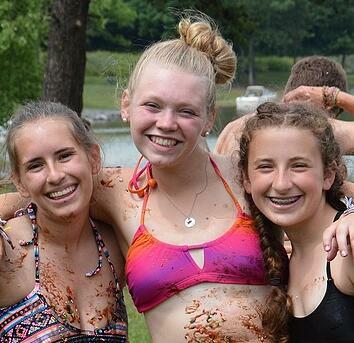 Why Choose a Teen Summer Camp? Teens at a summer camp designed just for them can enjoy days full of physical activity and social fulfillment, and because they can maintain their focus for longer than younger campers, counselors can emphasize skill development and engagement in outdoors activities. Being active is an essential part of a healthy lifestyle, and new experiences at summer camp may also help teens stay curious and find new hobbies or passions. Teen camps can uniquely promote this double attention to physical and mental wellness in a fun and social way. 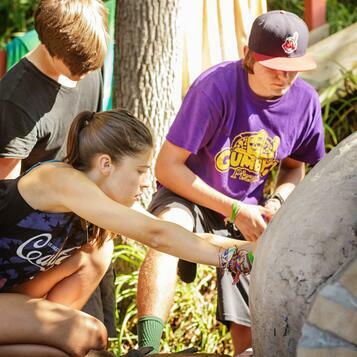 Whether your child attends a teen sports camp, a teen adventure camp, or a camp like Stone Mountain Adventures that offers teens a little bit of everything, they will learn new skills and develop positive habits of social interaction in an environment cultivated for their success. At summer camps with wide age ranges and hundreds of campers, it can be difficult for a teen to be included in a social scene comprised of campers who may have known each other for many years already. 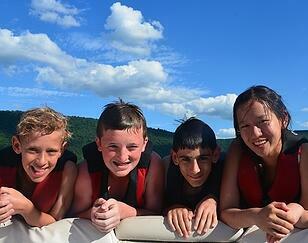 At a camp just for teenagers, it’s easy to be a first-time camper because everybody is around the same age! 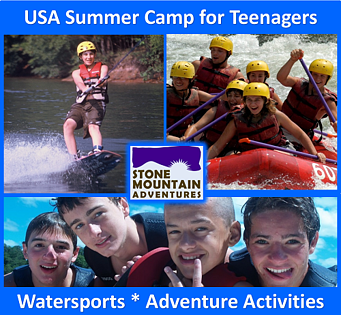 Stone Mountain Adventures is a small, familial summer camp and our narrow age range help campers to feel at home here easily. Returning campers are kind and welcoming, our staff is enthusiastic and friendly, and Director Jud creates an atmosphere that is exciting and inclusive. 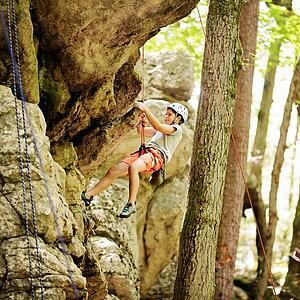 Camp is a great place for teens to learn how to do things on their own. When parents aren’t there to remind them to brush their teeth, eat healthy foods, or wear sunscreen, life at camp becomes a great exercise in the everyday responsibilities we learn as we grow up. Sometimes, hearing these reminders from a counselor or director helps the message to sink in, and even the most dependent teen can learn independence and self-reliance away from parents. Furthermore, teens often return home with an improved attitude towards performing daily chores, tasks, and responsibilities independently. Additionally, staff members keep campers accountable for their actions regarding behavior and interactions with their peers, yet campers will often model this behavior of acceptance for each other! That’s a big part of the effectiveness of small teen-oriented summer camps like Stone Mountain Adventures. 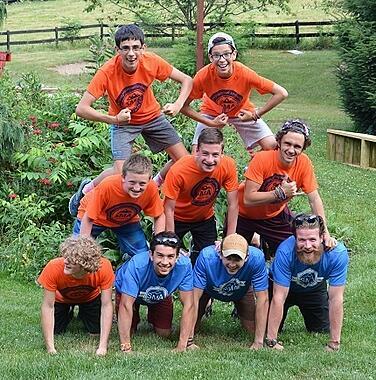 A good teen summer camp program offers much more than activities and a place to sleep at night: it offers a strong community for your teen to join that is centered upon shared values like acceptance, accountability, and curiosity. While away at an overnight camp, your teen will learn to work with other campers, having fun and developing skills with other teens from a diverse range of backgrounds. Campers at Stone Mountain Adventures work together to keep their cabins clean, to accomplish community service projects, and to teach each other new skills like paddling a canoe or belaying a climber. Campers at a teen summer camp must learn to work cooperatively, collaborate with peers and adults, and be an effective member of a team. Even if your child has been to an overnight camp before, it can be difficult for teens to feel comfortable when they don’t know the other campers. Yet, a good program will make it easy for teens to make friends quickly, and there’s nothing that forms friendships quite like living together in a cabin at summer camp! It’s not always easy for a group of teens to share a small space together, but it forms essential life skills and emphasizes an appreciation for a diverse community of people. Indeed, many campers will return home feeling closer to their “camp friends” than to their “school friends!” A camp friendship may last a lifetime or only until the end of the summer, but overnight summer camps nevertheless offer teens the opportunity to branch out from their regular circle of friends and learn to connect with others in positive ways. A week or two away from the comforts of home may help your teen appreciate some of the things we all may sometimes take for granted: a refrigerator full of snacks, a bathroom of one’s own, television, etc. This may help your teen to understand that life at home isn’t so bad, and that all they really need to be happy are a warm bed, healthy food, a few good friends, and a caring adult. It’s especially easy for teens to take parents for granted, but a teen that spends a few weeks away at summer camp may learn to appreciate all that parents do. You might find that little things like making your teen’s favorite meal or driving them to and from soccer practice may suddenly be appreciated! Attending a teen camp like Stone Mountain Adventures can be beneficial to the social, mental, and physical health of growing tweens and teens. 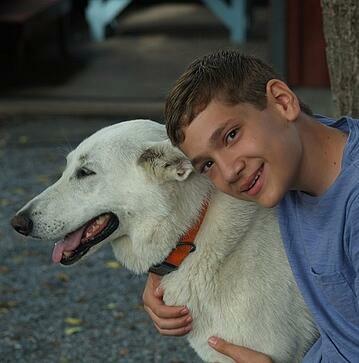 In fact, the whole family may benefit from a teen’s time at summer camp!